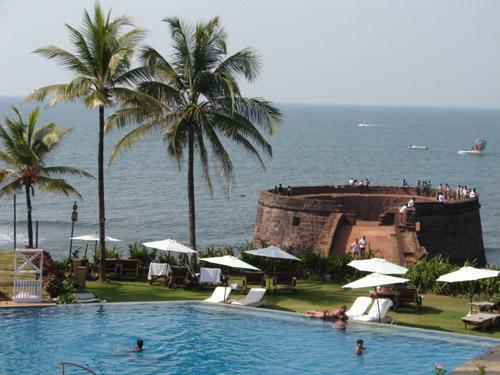 Grand Island is the best place for those who comes to Goa for their perfect vacation. The Grand Island trip includes all in one package like Snorkelling, Fishing, Sightseeing and the authentic Goan food. Start the exciting trip of Grand Island with Pick up service from your hotel around 8 A.M. in a comfortable transport and transfer to the island. Enjoy the jetty ride to the Grand Island and spot some dolphins with sightseeing like Aguada Fort, Old Light House, the famous Billionaire’s Palace (Diamond Merchant). Experience fishing in The deep sea and snorkeling in a Crystal blue water. Enjoy the Services like unlimited delicious traditional Goan food, fresh BBQ (veg-non veg) in a beach with soft drinks, beer and enjoy the sunset. Wrap up this day trip around 4 P.M. and head back to hotel with lots of pictures and good memories. This entry was posted in fishing, Jet Skiing, Snorkeling, Water Sports and tagged Fishing, Goa, Grand Island, Sightseeing, Snorkelling. Bookmark the permalink.